Nicole White is a lifelong learner. From the very beginning she has been driven to understand the world around her. Her bachelors degree in chemistry wasn’t enough to satisfy, and neither was her masters degree in quantum mechanics. The only thing that has given her satisfaction is God’s redemptive truth of His Son, which she discovered at age 24 after the world left her wanting more. Now the studying and learning she likes best is of scripture. Nicole traded in scientific research and teaching high school for the full time ministry of being a wife and mother of 3, and often refers to herself as the Quantum Housewife. She will make you laugh and she will make you think as she brings life lessons from God’s word. Nicole has a BA in Chemistry from the University of Colorado and a masters degree in chemistry from the University of Texas. Besides being a certified science teacher, she has participated and served in lots of in depth bible study including Bible Study Fellowship and Community Bible Study. Nicole has many years of experience teaching bible study to youth, womens groups, and singles. She currently serves as the Womens Education Coordinator for her church where she selects, leads, and writes bible study material. She lives in Austin, Texas with her husband and three kids. She has been speaking publicly since 2009. Questions? Interested in having Nicole speak at your event? 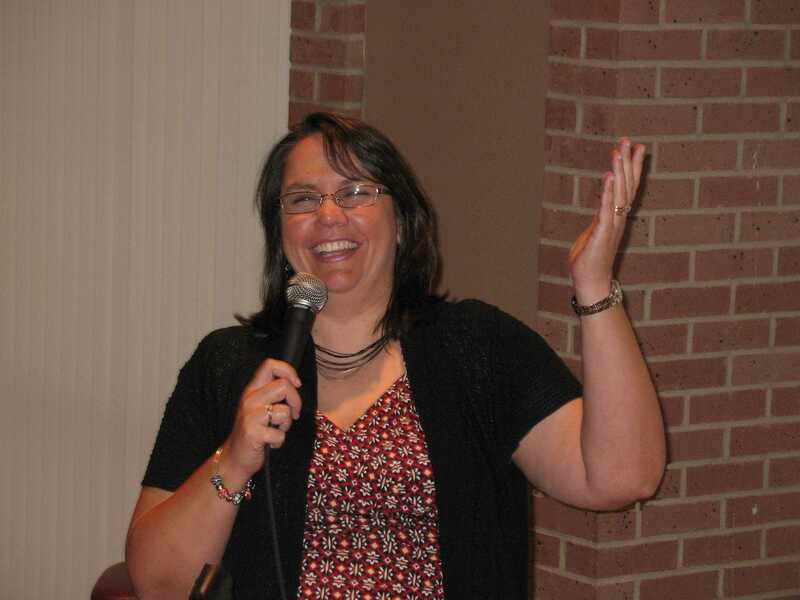 Nicole loves to speak for MOPS groups, luncheons, workshops and womens retreats and conferences. Contact her now with questions about booking her for your event. Thank you so much for stopping by my blog! I took a quick tour here and heard some of myself in your writing. I love it when that happens–especially in other Christian writers. Then I tripped over to your bio here and saw a little blip about BSF and broke into a huge smile. I’m looking forward to reading more. Blessings! Thanks for stooping by, Katie! I love it when truths resonate between writers!